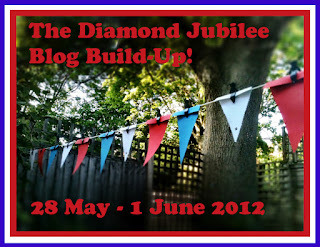 Welcome back to the final day of my build-up to the Diamond Jubilee. I hope there has been something for everyone to find useful, interesting or even just amusing! 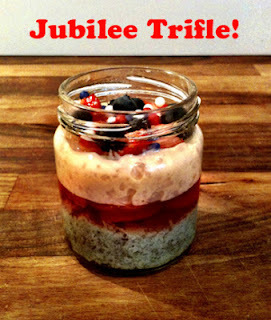 Today I've got a couple of recipes with a jubilee flavour. They are both pretty quick to make and you could enlist some little people to help if you have them. They will be perfect for any celebrations you've got planned this weekend. I love a good trifle and think they are typically British, but I was hoping to make something even more patriotic. I thought for ages about what could be the red, white and in particular, the blue. 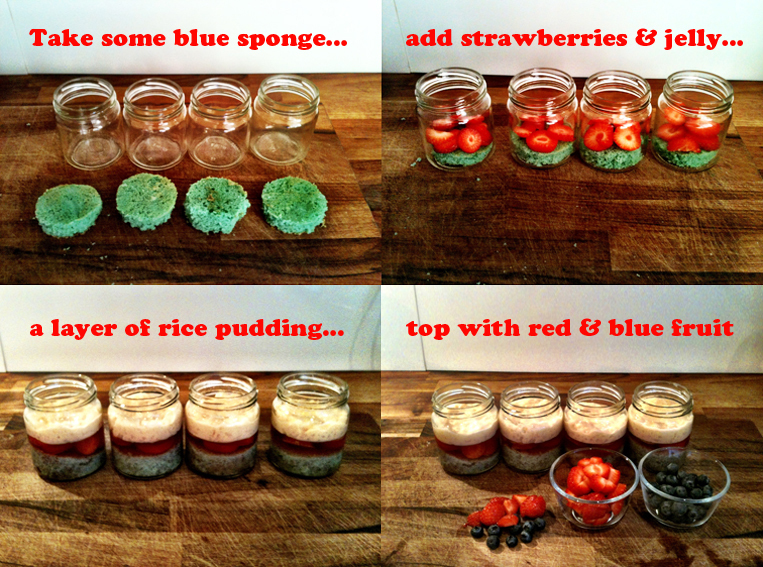 In the end I settled on an interesting combination of blue sponge cake (hmmm! 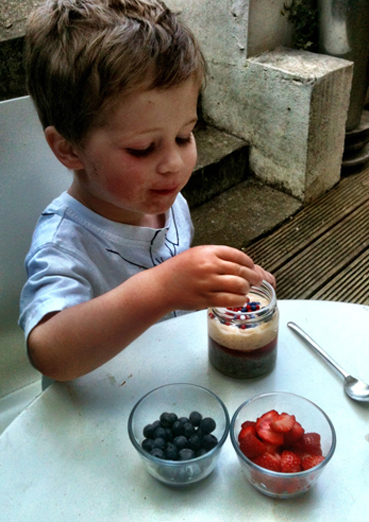 ), red strawberry jelly, white rice pudding (Lewis's absolute favourite) and fruit and sugar balls to finish. Melt the butter in small pan. Put both sugars in a bowl, pour in the melted butter and beat well. Beat in the egg and vanilla. Sift the flour, baking powder and salt into the bowl and stir them in. 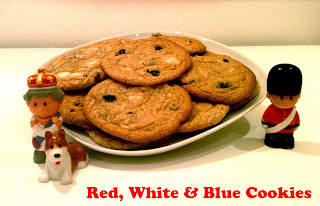 When mixed well add the cranberries, blueberries and white chocolate chunks. 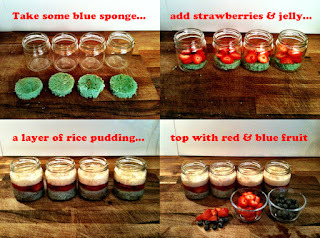 Dot dessert-spoonfuls onto a baking sheet lined with grease-proof paper. Make sure you leave 4cm between them as they will spread. Cook at 190 degrees centigrade/gas mark 5 for 8-10 minutes, until they are turning golden brown. They will firm up as they cool but you want them to be a little squishy. Try to eat with restraint! I wish you all a wonderful Jubilee weekend, and I really hope the weather holds for all the street parties that will be taking place over the next few days. My family and I are off on holiday for a week so we will be missing out on all the fun here in the UK but I look forward to seeing all the pictures from the different events. A big thank you goes to my two special guests on this series: Stacie Swift and No More Disco. We've really enjoyed getting into the jubilee spirit and I hope you have too? Now all you have to do is eat, drink and have fun! Oh goodie, recipes for the weekend, thanks! Those trifles look odd but brilliant and really tasty!